The September 27 episode of “Late Night with Jimmy Fallon” show featured a video of “Breaking Bad” footage which had been edited to the tune of NSYNC’s “Bye Bye Bye”. 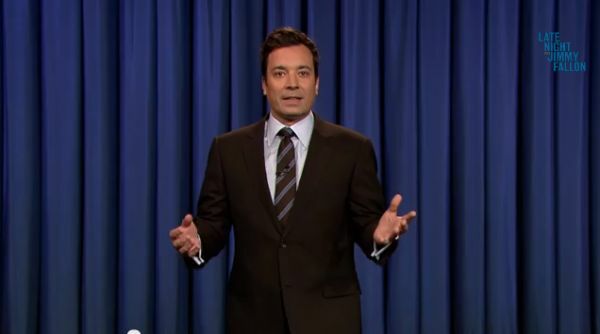 Fallon and his team paid tribute to the epic TV Show with Fallon joking in his monologue about how the show’s end would affect the economy in Albuquerque where the series was filmed. Dialogs of the key characters were cut and mashed together so that they appeared to be singing the boyband’s 2000 hit song. The clincher to round of the tune, Jesse Pinkman’s (Aaron Paul) iconic remark “b***h” is added at the end. “Breaking Bad” will air its final episode titled “Felina” this Sunday, September 29 on AMC.